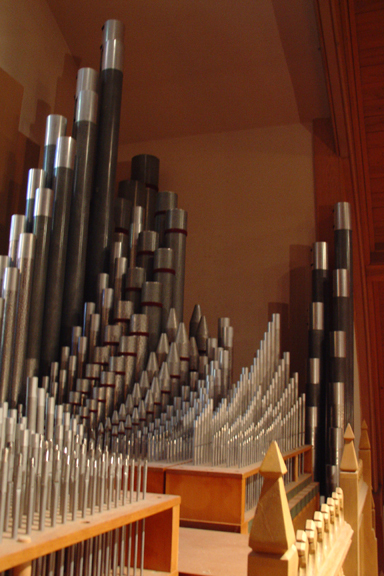 The pipe organ of St. James’ is Opus 1500 of the Aeolian-Skinner Organ Company of Boston, Massachusetts. It was designed, manufactured and assembled for St. George’s Episcopal Church in Port Arthur, Texas in 1967. It was installed in the new church building for St. James in 2007 after St. George’s in Port Arthur closed. The organ was a gift of the Diocese of Texas. The organ is in the “American Classic” style meaning that it is conceived to play music of all styles and eras with equal facility. 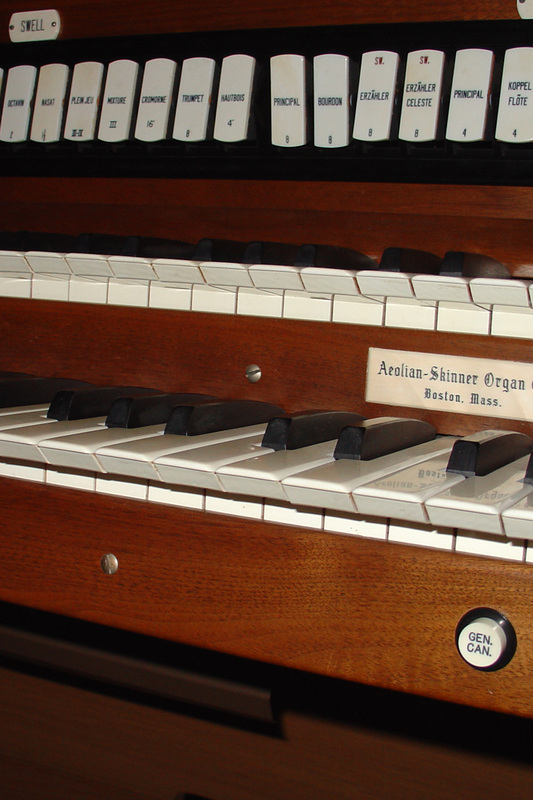 Prior to the introduction of this style, pipe organs were designed in an orchestral style meant to imitate the various sounds of a symphony orchestra. The American Classic style re-introduced elements of the baroque era with quintessential pipe organ characteristics. The organ has two manuals, 22 stops and 25 ranks. It comprises 1,413 pipes. It has a room-filling sound that is both warm and, at times, piquant. It is one of the “jewels in the crown” of the parish.